Will My In-Laws History of Child Abuse Be Factored into our Custody Agreement? During divorce proceedings, child custody is an extremely important aspect that must require great consideration by the court. There are different federal and state laws that govern legal authority of parents to take a decision that may affect legal and physical custody of a child. These laws are in place to devise an effective legal structure for relationships between divorced parents and their children. In most cases, courts are in favor of a joint legal custody, however, it is imperative that both parents are on good terms and agree to it. Moreover, it is also important that child’s lifestyle is not significantly disrupted. A history of abusive behavior, drinking habits or criminal activity can significantly weaken a case for both spouses. A court does not allow a child to stay with an abusive parent under almost any circumstances. This spectrum may further expand to in-laws which may include parents, siblings or any other member of the family of each spouse. In case in-laws of a spouse have a history of child abuse and they live under the same house as the child, it can reduce the probability of that spouse of obtaining custody of child in order to ensure their safety and wellbeing. 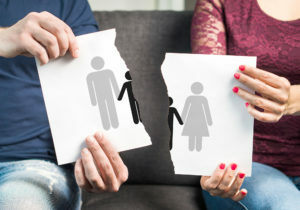 If you are getting a divorce and fighting a child custody battle, it can be highly beneficial for your case to acquire services of an experienced divorce lawyer. They will ensure that your rights remained protected throughout the divorce process while ensuring the interests of your child are not endangered. Using their understanding of laws and regulations, a skillful divorce lawyer will devise a strong case in your favor. Most importantly, if you believe that your in-laws have a history of child abuse, your divorce lawyer will make sure that court takes this aspect into consideration, which will drastically improve your chances of winning the custody battle of your child. In order to get more information about child support or to schedule a free consultation with an experienced divorce lawyer, contact the Law Office of Fedor Kozlov at (847) 241-1299.